Real Madrid have announced that Luka Modric has signed a contract extension with the club, which will keep him around for the next four seasons. The Croatian midfielder, who arrived to Real Madrid from Tottenham in the summer of 2012, has been instrumental for the club in the last two seasons. Aside from being the team's creative playmaker and one of the club's most capped players last season, Luka's highlight contributions for Real were his UEFA Champions League golazo vs. Manchester United in 2012/13, and the laser precision corner kick assist to Sergio Ramos in the last minutes of the 2014/15 final vs. Atletico Madrid, which resulted in a goal, forced overtime and eventually enabled Real Madrid to win their long awaited La Decima. 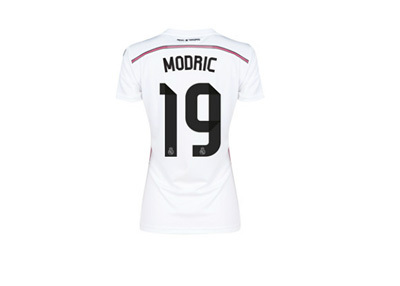 We look forward to seeing Luka Modric play alongside Real Madrid's new signing, the German midfielder, Toni Kroos, in the upcoming season. The two have the potential of forming one of the best midfield partnerships in today's football.